- Agreement between the Government of Georgia and the Government of Sweden on the Establishment of Swedish Development Coordination Office in the South Caucasus. (Signed in Tbilisi on March 5, 2004, entered into force on 15.11.2005). - Agreement between Georgia and Sweden on General Terms and Conditions for Development Cooperation". 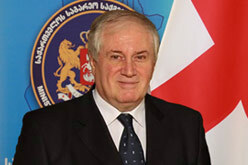 (Signed in Tbilisi on December 13, 2006, entered into force on March 15, 2007). - Agreement between the Government of Georgia and the Government of Sweden on Reciprocal Promotion and Protection of Investments (signed in Stockholm on 30 October, 2008, entered into force on 01 April, 2009).